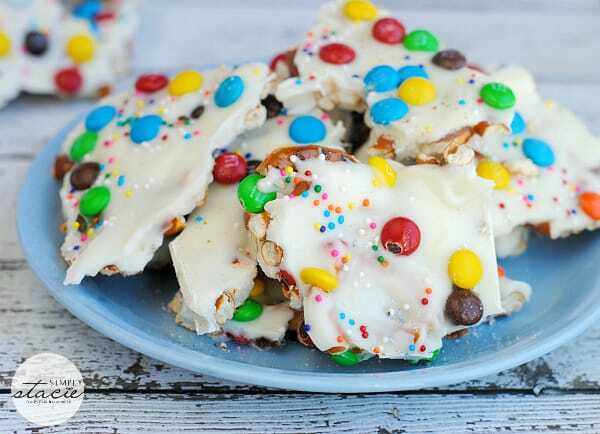 Rainbow Bark is a super easy, no-bake recipe that would fit in with a St. Patrick’s day theme (though you really could enjoy it any time of the year). 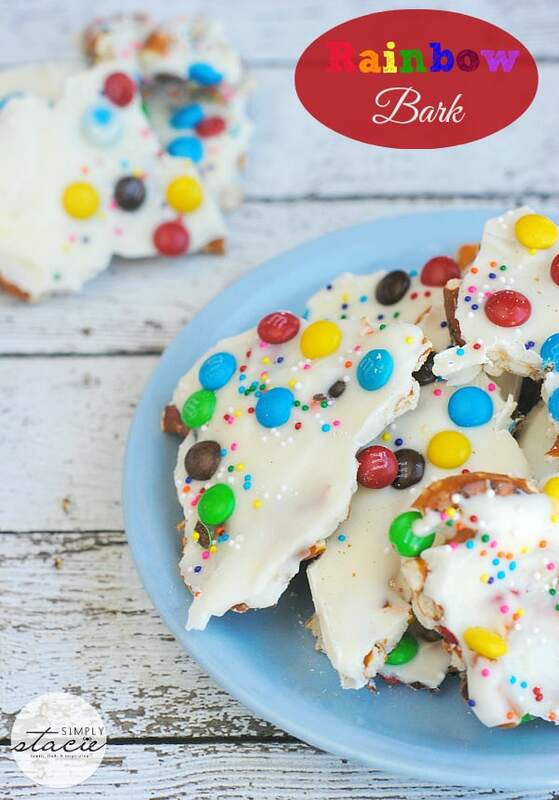 It’s also a recipe that kids can help out with towards the end by breaking up the cooled bark into smaller pieces. It’s almost too pretty to eat! Salty + sweet = pure heaven! A fun no-bake dessert for St. Patrick’s day! Line a 9×13 baking sheet with wax paper or foil. 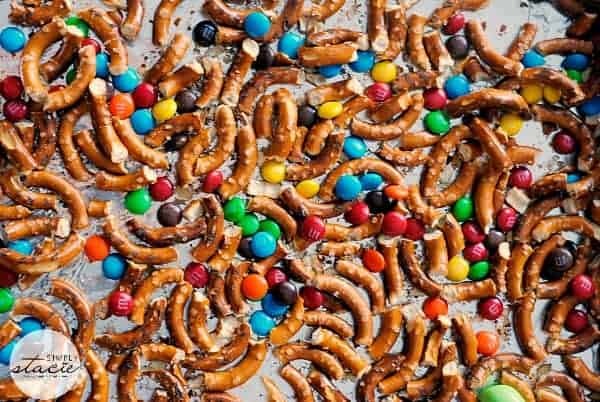 Spread ¾ cup of the mini M&M’s and the broken pretzel pieces onto the lined cookie sheet. Melt the white chocolate in a microwave safe dish stirring every 30 seconds until melted. Let cool 1-2 minutes. 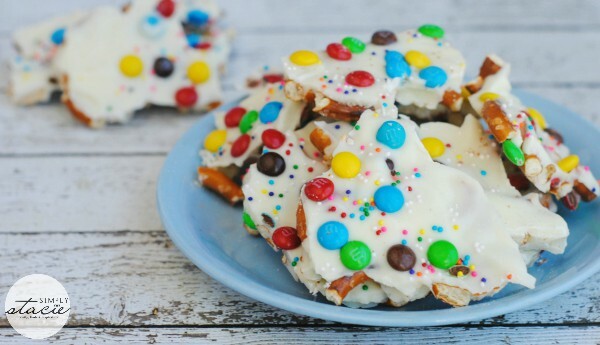 Poor the melted chocolate evenly over the cookie, M&M and pretzel mixture. Spread out with a spatula if needed. 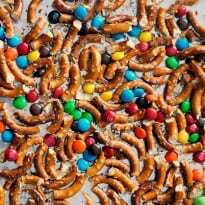 Before the mixtures ‘sets’ sprinkle the remaining mini M&M’s and the green and white sprinkles on top. Place cookie in the fridge to set.